Send Your Survey ToA Representative Sample! Send Your Survey To A Representative Sample Of Participants For Precise Information. Join Today! 3. Begin from a blank template. With QuestionPro you can also create and deliver surveys on smartphones and tablets as well, for QuestionPro is optimized for mobile devices. 1. Choosing A Template: With QuestionPro, you have access to a library that consists of over 100 survey templates, covering many different topics. You can choose any survey template you wish to edit and customize. Check out the templates that you can customize and send to your representative sample. 2. Importing A Survey: If you already have a survey that you'd like to use, you can use Microsoft Word to easily import it into the editor. 3. A Blank Template: If you want to just start from a blank survey template, QuestionPro gives you a bank of survey question types to choose from, ranging from simple to advanced, as well as pre-made themes to choose from. If you work in market research, gaining information from samples of populations is a common occurrence. Before releasing a product or service, it's best to gain a good idea on how the market will react when you go to release your product. Demographic surveys focus on obtaining specific information on people, such as their age range, location, income level and other types of identifying characteristics. Similar to market research surveys, social and personal surveys tend to gain information relating to a particular group's thoughts and habits. For example, a personal survey might have questions that ask about the respondent's shopping habits. If you own or manage any business, it's always a great idea to survey your customers and discover how they feel about your company. You can ask questions about the quality of the products you offer, the environment of your stores, friendliness of your staff, etc. Step 3: Choose which way you want to begin your survey. You have three options, which include choosing a template from the template library, importing your own survey and or beginning from a blank template. You can change fonts and colors with access to the CSS or choose from pre-made survey themes. What is survey creation like? 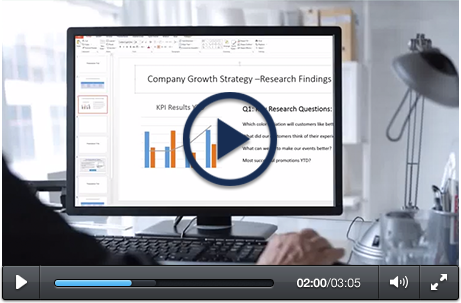 Do you have access to a giant template library that has over 100 various surveys that you can edit and customize? If you happen to have a survey that you've already created and would like to implement, are you able to easily upload it into the editor? What about starting from a blank survey? Do you have a bank of over 30 question types to choose from? 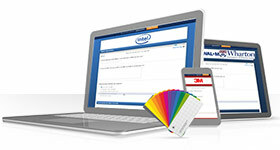 How about various customization options, like having access to modify your survey's CSS? With QuestionPro, you can do all of these plus more. When your survey is created, what kind of options are available to you to send it out? 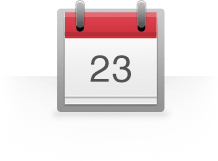 Are you able to import a list of email addresses into the system for easy distribution? How about if you need to embed it into your website or blog? Or perhaps post it to your social media network? If you run a business and would like to put a QR code on your receipts for customers to take a survey, are you easily able to do that within the interface? Or what if you plan to work offline but still need to administer a survey? Is there an app you can download to assist you? 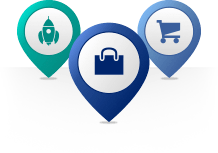 When you choose QuestionPro, you have all of these features available to you, plus more. When you survey responses start coming in, what are you able to do with your data? Can you see your results in real-time, including the number of people who took your survey and the average time it took them? What sort of data visualization tools do you have? Can you create data filters and word clouds with your data as it comes in? Can you perform trend or TURF analysis? How about backing your data up? Can you download a raw data file? Or perhaps back up your survey to the cloud like Google Docs or Dropbox? 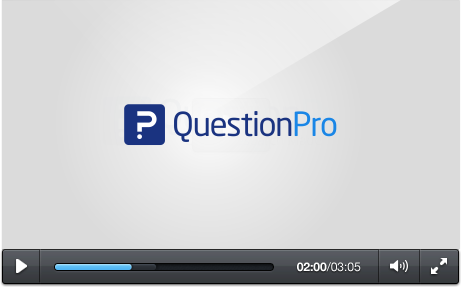 QuestionPro offers all of the above features, plus a lot more! As soon as your account is made, you can start creating and editing surveys. You have three options to start. QuestionPro has a giant template survey library filled with over 100 different surveys for you to customize and use. If you have questions that you've already typed up and would like to use, you can use Microsoft Word and easily import them. In addition, you can also start from a blank template and select from over 30 different question types to choose from. After your questionnaire is created, you can send it out with several different methods To start, you can import a list of email addresses into QuestionPro and create a list that you can manage. In addition, you are provided with custom HTML code that you can use to easily embed your survey into your website or blog. 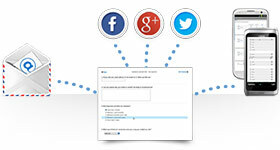 You can also post a link to your survey on your website or blog straight from QuestionPro. Also provided is a QR code generator that you can use to put a link to your survey in virtually any location. If you need to you work offline, like at a tradeshow or convention, you can download the QuestionPro app before hand to administer surveys with limited internet access. When you've sent your survey out, you can easily see what kind of responses you're receiving in real-time. You can view how many views you've gotten, your completion rate and the average time it's taking respondents to complete your survey. 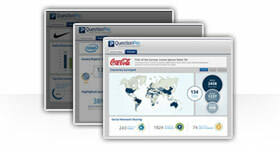 QuestionPro provides you with several data visualization tools, allowing you to create infographics and word clouds. For analysis, you can perform TURF and trend analysis, plus create data filters and cross tabs. For backup, you can link your account to Dropbox or Google Docs.